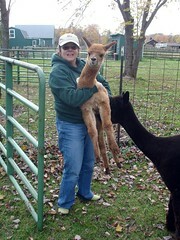 Born a month early and weighing only 14 pounds, Constance is turning out to be a beautiful cria with dense crimpy fiber. 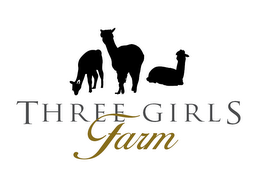 A lot of care from Ed & Beth proved to be just what this beautiful cria needed. Now weighing 35lbs. Beth wont be able to carry her much longer.